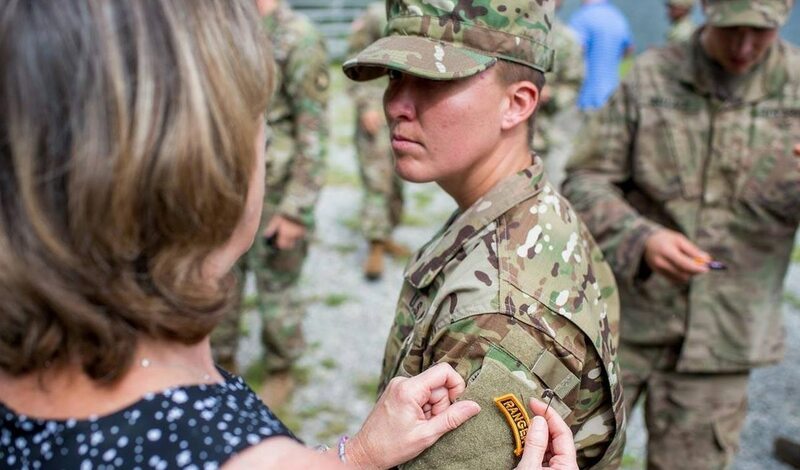 EASLEY, S.C. — Amanda Kelley didn’t set out to become the first female enlisted soldier to pass the incredibly rigorous Army Ranger course. For Staff Sgt. Kelley, a native of Easley, that was just another step along the path toward her bigger goal — to become sergeant major of the Army. Not a sergeant major in the Army. The sergeant major of the Army. You don't just get qualified to be a Ranger on a whim. Rangers have to be ready to embark upon dangerous special ops missions at a moment's notice. These are the soldiers who go busting down doors with guns a-blazing deep in enemy territory, softening up the resistance for the regular troops. An enlisted female soldier has earned a Ranger tab. I caught up with Kelley by phone from Fort Sill, Oklahoma, after plowing through about 14 layers of bureaucracy to track her down. She’s actually stationed at Fort Bliss, Texas. "I have a lot of people ask me how does it feel as a female going through Ranger school? I don't know, because I'm not a male. I can't compare," she said. "But I can tell you what it's like as a soldier going through. And honestly, it's the same for male and female. We all go through the same thing at the same time. You look left or right and each one of you is hurting just as bad. And you just pick up your rucksack and keep going." Some of those hard things you have to do: at least 49 push-ups in two minutes; 59 sit-ups in two minutes; run 5 miles in 40 minutes or less. That’s just the introductory phase. They go into north Georgia for the mountain phase, and then a swamp phase in Florida while carrying a rucksack that weighs anywhere from 80 to 120 pounds. Kelley injured her back a week and a half into the 62-day program and had to “recycle” for five weeks before continuing. She’s not sure how it happened, but it’s common for Ranger candidates. Half of her company recycled along with her. "After work, at lunch, whenever we had any free time downrange, we were running, rucking, swimming, doing everything," she said. "I like challenges," she said. "And when I was in (Ranger) school I wasn't worried about making history, I wasn't worried about any of that. I was just worried about getting through this training because I didn't want to fail." She describes herself as "a sore loser." "Failure's not an option," she said. Earning her Ranger tab, which qualifies her to join a Ranger battalion, “felt amazing,” she said. "Every day I think I grasp a little more what it actually means to soldiers and NCO Corps and females throughout the military what I was able to accomplish," she said. But she said it was just a matter of time being in her favor. Females weren't allowed to try to become Rangers until the Pentagon lifted the ban on women serving in combat five years ago. "Honestly, I think if this school was afforded to females a long time ago there would have been a lot more females make it through already," she said. 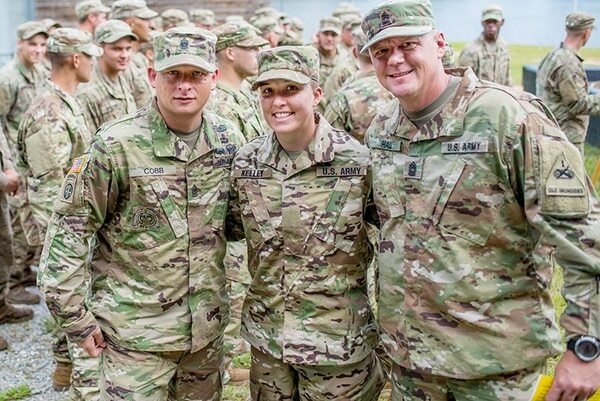 Kelley seems to take pride in her status as an enlisted soldier rather than an officer — as evidenced by her goal of being the top enlisted officer in the whole Army. "Because I want to influence hundreds of thousands of soldiers in a positive way," she said. She was raised by her grandparents, the late Jimmy Edward "Papa Ed" Kelley, and Stacy Brewer, now remarried and living in Pickens. After graduating from Easley High School in 2007, Kelley, now 29, wasn’t sure what she wanted to do with her life. She eventually went to a private tech school in Greenville, where she learned some of what helped her in her current job as an electronic warfare specialist. Kelley joined the Army at age 22. She spent two years at Camp Casey in South Korea before moving to Fort Bliss. At Fort Sill, she’s taking a senior leader course, which she needs to complete to become a sergeant first class.